 HSU holds regular membership meetings, standing committees, and workgroups, to organize and improve collaboration, and promote provider-driven solutions to challenges with the homeless services sector. General Membership Meetings- HSU convenes meetings of the entire membership to provide updates on HSU’s recent initiatives, city & state budget briefings, government contract updates, governance items, and guest speakers from the sector. Finance and Contracts Committee- is open to all CFOs and senior finance staff from HSU member agencies. This committee meets with senior DHS Finance staff to discuss PEGS, budget and contract changes, and address specific fiscal questions/concerns. Policy Committee- helps to inform and guide the direction of HSU’s policy efforts and initiatives. Members are engaged in developing governmental and programmatic policy changes. Street Outreach Committee – meets to coordinate efforts between outreach, safe haven, respite and stabilization beds providers and relevant government agencies to ensure that all persons living in the streets can have access to appropriate shelter and housing services. Eviction & Homelessness Prevention Committee– meets monthly to discuss city & state advocacy efforts, funding, contract, and implementation issues & concerns, and cross agency/program referrals, resources, and collaborations. Tier II / Adult Singles Provider Workgroups- meet to address concerns specific to either Family or Single Adult providers. Professional Development Committee– designs HSU’s training curriculum recruiting leading experts in the field to lead workshops for our member agencies’ staff to teach the skills needed to deliver high quality homeless services programs. Governance Committee– ensures that HSU’s structure and bylaws are crafted to be accountable to our members and designed to harness the strength of our membership to effectively execute our mission.